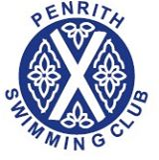 AN 11-strong team of Penrith Swimming Club members were in action at the annual Copeland Graded Gala, which was held at Whitehaven on Saturday. For swimmers to be eligible for each race they must be able to swim faster than the qualifying time, but not so fast they exceed an upper time limit. On race day, competitors are awarded medals for first to third places and ribands for finishing fourth, fifth and sixth. Any swimmer faster than the upper time limit is given a “speeding ticket”. The Penrith team consisted of competitors between the ages of nine and 14 years. All actively encouraged and cheered each other on during the races with each team member entering multiple events throughout the day. Events were held for distances of 50m, 100m and 200m for the four disciplines of backstroke, breaststroke, butterfly and freestyle. There were additional events at 100m and 200m for the individual medley all four strokes in one race. This year there was also an opportunity for teams of two to take part in a mixed medley relay. Each consisted of one boy and one girl, whose combined ages were no more than 23, and each swam two disciplines of the medley. Three teams from Penrith Swimming Club took the opportunity to compete in this fun event. James Streatfield, Jake Fabi, Evie Fleming, Emily Guthrie, George Guthrie, Emily Ellwood, Kes Fountain, Jessica Woodhouse, Saskia Todd and Niamh Brenan represented Penrith. Between them they took home five second and four third place medals, along with one fourth, four fifth and six sixth place ribands. All of the Penrith members also returned home with faster personal best times in several events.